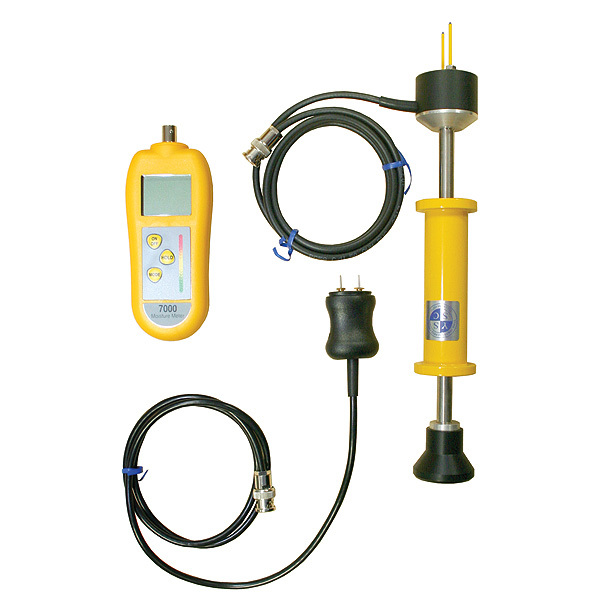 Moisture meter kit with Hammer probe, for the professional and the craftsman. Designed specifically for the construction industry and based around the 7000 moisture meter, this moisture meter kit is a complete solution for measuring the moisture and dampness in a variety of building materials. This kit represents excellent value for money as it is supplied in a FREE carrying case and includes a FREE protective boot, two-pin probe and two packs of pins. Each moisture meter kit is supplied with a useful ABS carrying case to protect your valuable instrument. In the box: 7000 Moisture Meter, General purpose two-pin probe, Heavy duty hammer probe, General purpose pins (pack of 50), Hammer probe pins (pack of 10), Protective silicone boot and ABS carrying case.